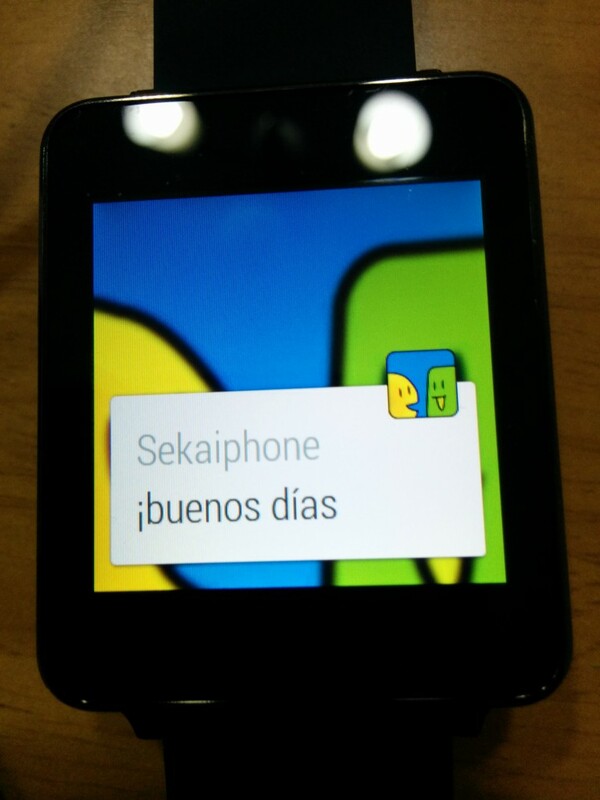 Today we’ve released Sekai Phone ver.4.4.0, supporting Android Wear. It is available on Google Play. 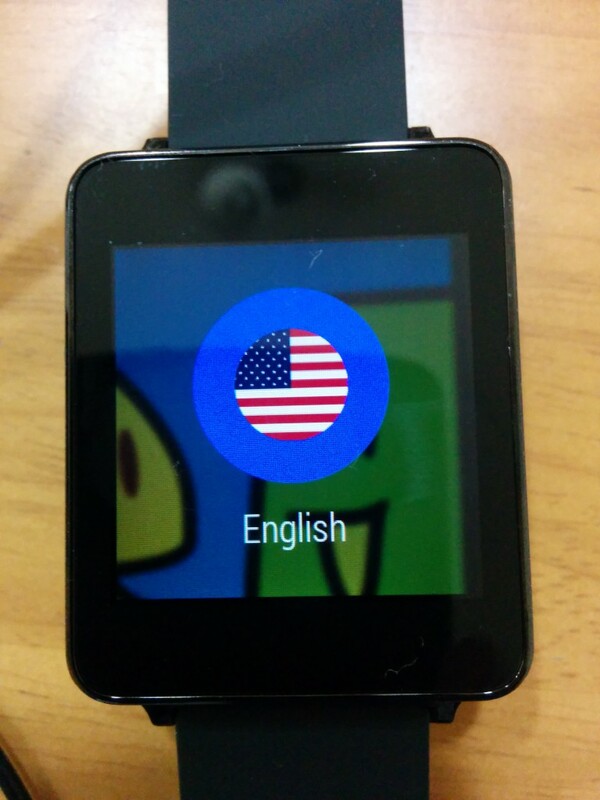 We’ve already supported Android Wear Preview since ver.4.2.0. But Android Wear SDK officially was released by Google at Google I/O 2014. 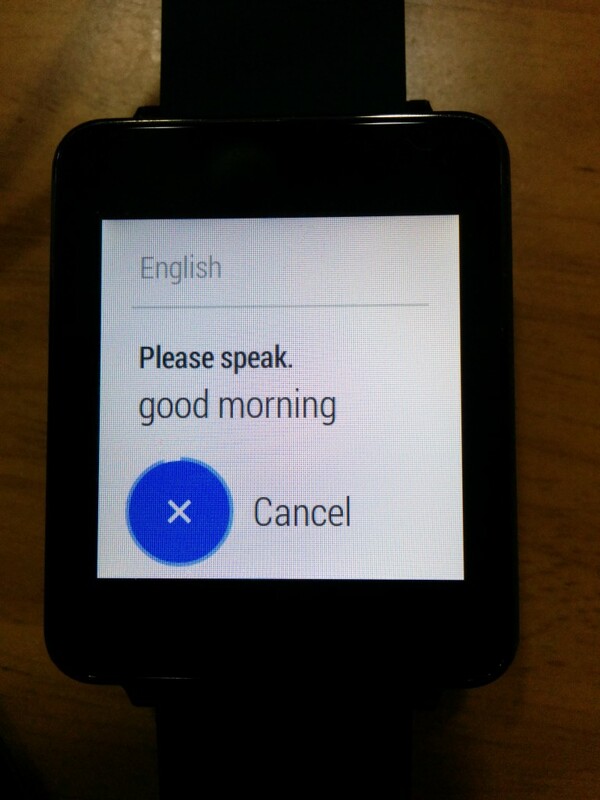 So we modified this app to operate on Android Wear real device. This release is our first step for supporting Android Wear. So we’ll improve UI/UX for the future. 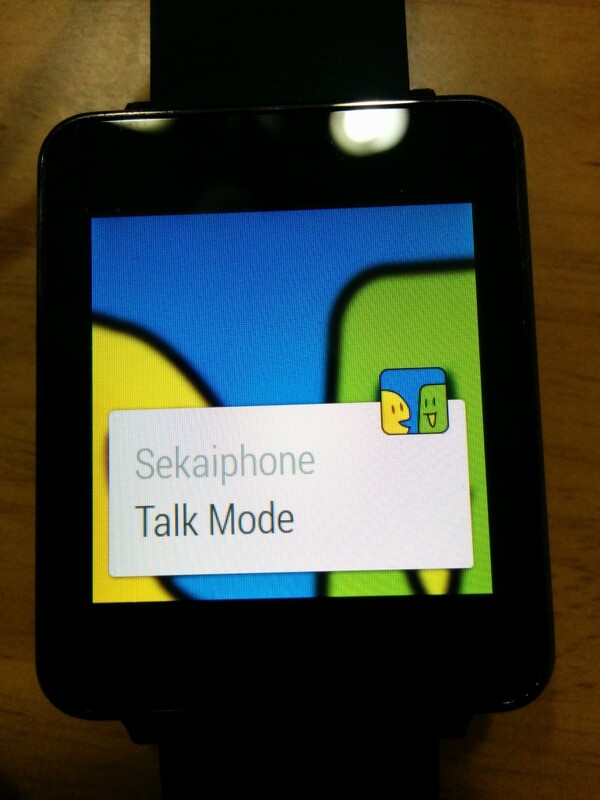 Sekai Phone supports Android Wear. So you can use Sekai Phone with Android Wear. At first, you need to enable “Android Wear colloboration”. 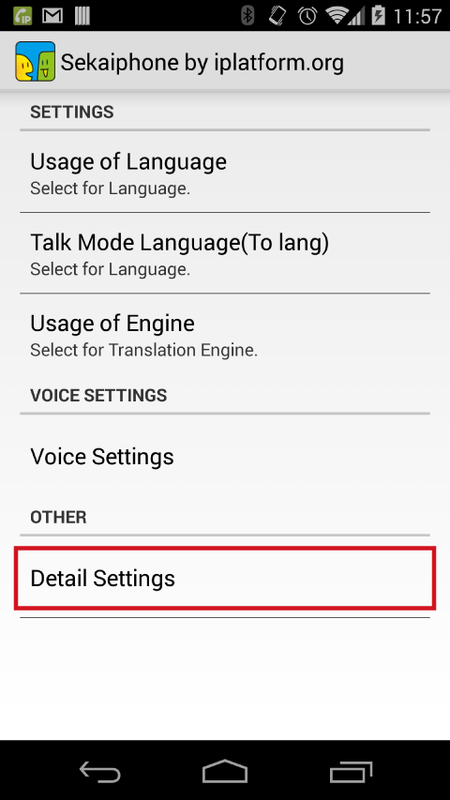 After showing Settings, you need to tap “Detail Settings”. 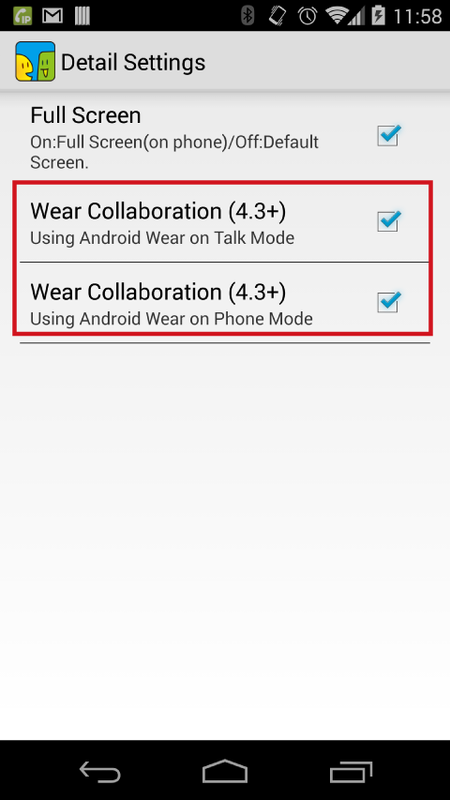 And enable checkbox on “Wear Collaboration for Phone mode / Talk mode”.